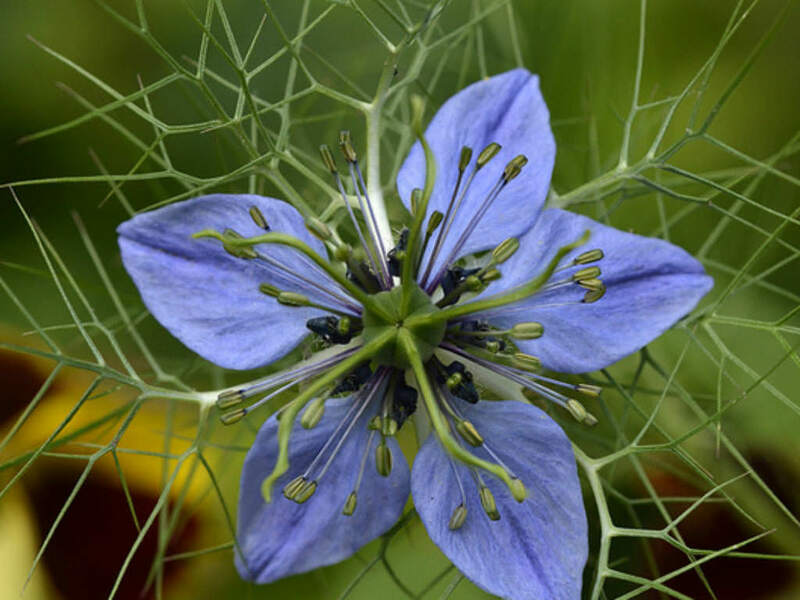 Nigella sativa is an annual flowering plant, up to 12 inches (30 cm) tall, with finely divided, linear leaves. 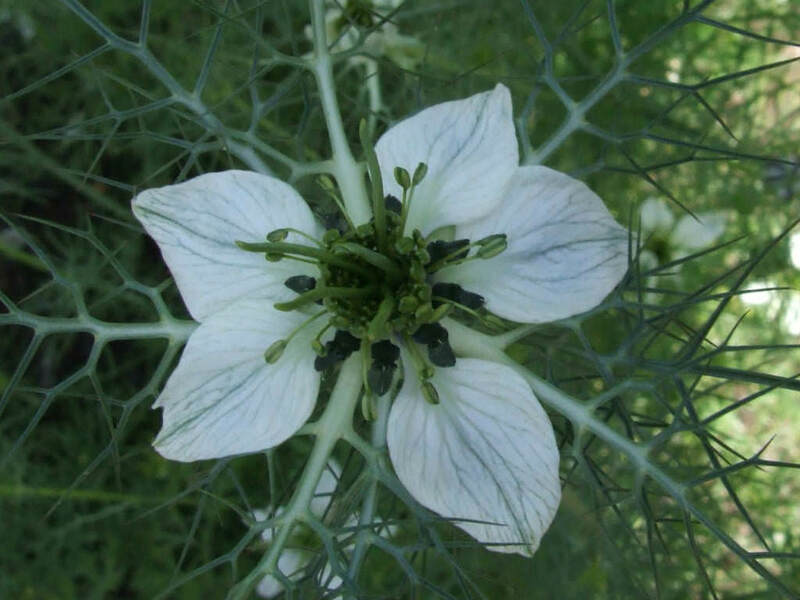 The flowers are hermaphrodite (have both male and female organs), and usually colored pale blue and white. It is in flower in July, and the seeds ripen in September. 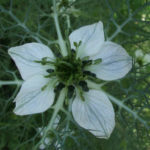 The fruit is a large and inflated capsule composed of three to seven united follicles, each containing numerous seeds. 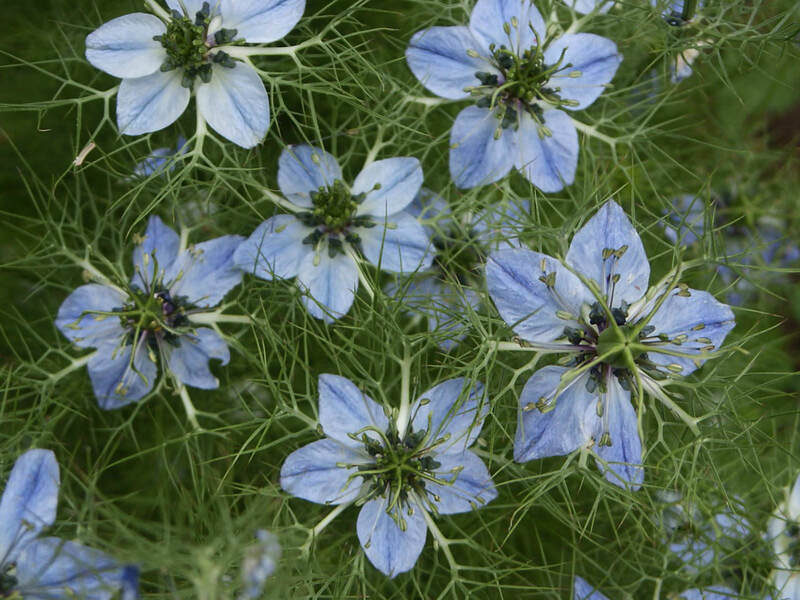 Sprinkle the Nigella sativa seeds lightly over the planting area. 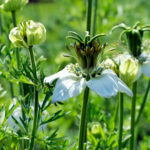 Sprinkle about 1/4 to 1/2 inch (8 to 13 mm) of soil over the seeds. 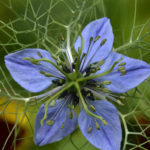 Pat the soil gently to hold the seeds in place… – See more at: How to Grow and Care for Nigella sativa. 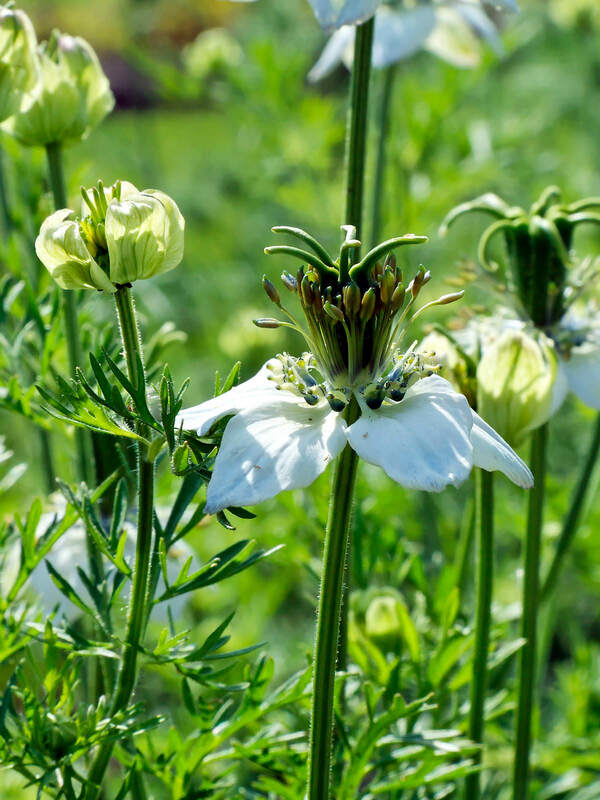 Native to Iraq and Turkey.